In Western Australia, the Government has announced the sale of $7 million of public assets, unprecedented in the state's history, to fund a revenue shortfall caused, partly, by this year's plunge in iron ore prices. A lot has been written about the growing cost of housing in Sydney. However, drive three hours north to the mining town of Muswellbrook and it's a very different story. Here house prices have fallen 13 percent in the past year -- and are expected to fall even more as the town, which ballooned during the heights of the mining boom, sheds more industry and workers. Muswellbrook isn't alone. As China's demand for Australian resources slows, and the mining sector lays off increasing numbers of workers, more towns will begin feeling the squeeze. House prices are, of course, just one of the many areas that are beginning to display the negative after-effects of the mining boom. In Western Australia, the Government has announced the sale of $7 million worth of public assets, unprecedented in the state's history, to fund a revenue shortfall caused, partly, by this year's plunge in iron ore prices. 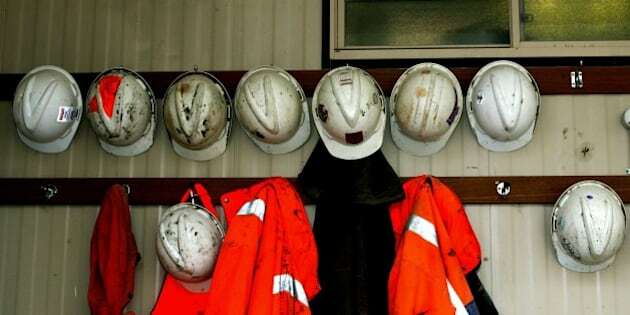 In recent months, unemployment in the once lucrative mining sector has soared to almost three times the national average. Federally, the government's chances of creating a balanced budget are looking increasingly slim, as resource revenues shrink while spending commitments and tax cuts made during the boom become increasingly unsustainable. Politicians have known for years that the boom would eventually come to an end, and that any long-term plan for the country's future would require a transition away from minerals dependence into other industries. This involves costly investment into new infrastructure and jobs training, along with support for new industry and retrenched workers. They also knew that a failure to do this would result in a crash in productivity and a decline in national living standards. While Norway has managed to put away over $900 billion in profits from its resource boom to help fund the country's economic adjustment, it's looking as though Australia will have little left to show for it once demand for our resources has dried up. According to a report released last year by SGS Economics and the CFMEU, the majority of benefits from our mining boom appear to been squandered, "too much has gone into the pockets of shareholders and management, overwhelmingly based overseas, and too little to the Australian community". Rather than saving this money, as Norway did, the bulk of our earnings flowed to a small group of wealthy individuals. Compared to the average the corporate tax rate of 21 percent, the mining industry has been able to get away with paying just 13.9 percent, due to various tax deductions. This means that while EBITDA in the mining sectors ballooned by $48bn between 2007 and 2011, royalties paid to the states in the same period increased only slightly by $6bn. More shockingly, over the past six years the mining sector has been able to secure close to $18bn worth of assistance from state governments around Australia. This is on top of the $4bn it receives yearly from the federal government in fuel subsidies and tax write-offs. To put these figure in context, Queensland is now spending more subsidising mining than it spends yearly on disability services throughout the entire state. When you factor in the cost of air pollution, global warming and congestion, as the IMF has done recently, it gets even grimmer, with Australia providing the resource industry with $1,712 in subsidies per person per year, or roughly 2 percent of our GDP. Beyond this loss to taxpayers, the mining industry has used its political influence to have an even more sinister impact on our political system. In 2006, ABC's Four Corners ran an expose on the 'Greenhouse Mafia', the "in house" name used by Australia's carbon lobby for itself. According to the investigation, the group, consisting of high-level former bureaucrats and politicians, has been able to use its influence to undermine Australian climate policy and stifle the development of renewable energy. While Tony Abbott's comment that "coal is good for humanity" was rightly lampooned, it's worth noting that many of his policies regarding climate change have been left in place by his successor. Despite having access to some of the most renewable-friendly landscapes in the world, Australia is still in lagging behind the developed world when it comes to our investment in clean energy. This shouldn't be surprising. "Resource rents make democracy malfunction" writes economist Paul Collier, a pioneering researcher on the political economy of mining, "instead of the democracy disciplining how the government behaves with the money, the money corrupts and corrodes the democracy." Australia isn't alone in experiencing what Collier, and other researchers, have dubbed the Resource Curse -- the reason why we find ourself in this state of affairs. Despite these setbacks, there is still time to learn from our mistakes -- if we learn quickly. As the mining industry shifts from its investment and construction phase, into production, it will require fewer workers, but it will continue to earn substantial revenue. This provides time to begin transitioning the economy, through a combination of public investment aimed at increasing productivity, and tax reform, with a focus on increasing the royalties Australians keep from their minerals exports. In 2012 economist Ross Garnaut warned that Australia was living in a period where "ordinary economic policy looks good and good economic policies look stellar," thanks to the mining boom. He went on to say that "it won't be very many years [until these] salad days turn into the dog days, when good economic policy looks terrible and ordinary economic policy looks in the dogs." Looking around, it appears we're entering the dog days. Lets hope we don't get boned.